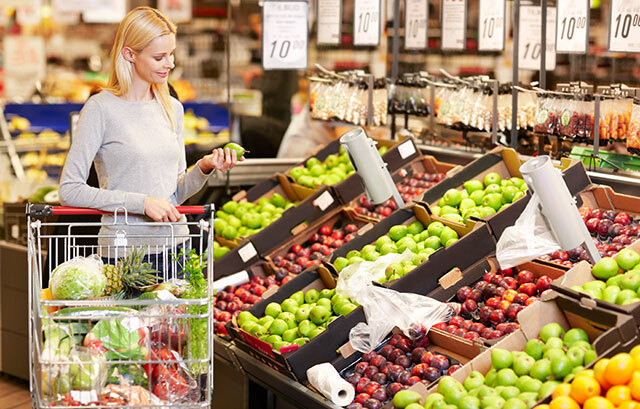 How much do you plan on spending each week on groceries, and how much do really spend, on average? If you’re like many people, what you actually wind up spending each week has an annoying tendency to differ from your planned budget. This is especially likely if you’ve got a family to feed — the costs add up quickly. But one frugal blogger has thrown down the gauntlet. On her blog 4 Hats and Frugal, Amiyrah Martin claims she can feed a family of five on a grocery budget of only $64 a week — and she believes anyone can follow her lead. If you find yourself objecting, “Well, that wouldn’t work for me because _______”, you’re not alone. Amiyrah has heard all the excuses, from dealing with special diets to having too many mouths to feed — and she’s not buying any of them. The real reasons your grocery budget is failing, according to Amiyrah, are ones you may not even be aware of: you’re not using portion control, you’re not factoring in snacks and desserts, you’re not shopping seasonally, you’ve accepted defeat. Address these sneaky success saboteurs, and you could find you’re able to live on $64 a week, too. But who says you can’t get by with even less? Why not add these additional tactics to your arsenal to see how low you can get your grocery bill? Plenty of websites and mobile apps will reward you for doing your normal grocery shopping. Ibotta rewards you for buying certain items. Nielsen Homescan rewards you for scanning certain items. InboxDollars rewards you for using its coupons. You can even combine Ebates with Raise.com to shave a percentage off your grocery totals. Speaking of apps, several can help you make sure you’re getting the lowest possible prices on the items on your grocery list. Apps like Favado and mySupermarket monitor prices across several stores and alert you to where you can find an item the cheapest. For more options, check out this post on couponing strategies and apps. Many major retailers change their prices on a certain day of the week, and if you know when those changes occur, you can potentially spot some great deals. The easiest way to slash your grocery bills? By not having to grocery shop at all. Growing your own produce in your garden, or even raising chickens or rabbits in your backyard, can help supplement your shopping at a fraction of the cost. Your Turn: Do you think you could live on $64 worth of groceries a week? Why or why not?